These often are the last to come but with a huge impact! Pottery ads life, warmth and a splash color across the landscape. Most pots can be loaded with colorful displays of foliage and blended with different textures, while others are best left solitaire. They provide an excellent space for seasonal color; with flowers throughout summer, the fall leads into a powerful display of blooms that compliment any pumpkin display, just before winter, clippings from dried flower heads and evergreen branches make your house a home for the holidays. Don't be afraid of color. Go for it. If you think there might be one that's hideous, often that's the best choice! Depending on where in the landscape you are intending on using them, that can be the most interesting object while we are suffering through our winter months. Just about any pot can be turned into a decorative fountain with stones around the base to soothe the mind. Nature's Way can incorporate items into your outdoor living area using just about anything. Bigger is better. With size means more soil, in turn means less watering you'll have to do. Smaller pots heat up and dry out much faster. 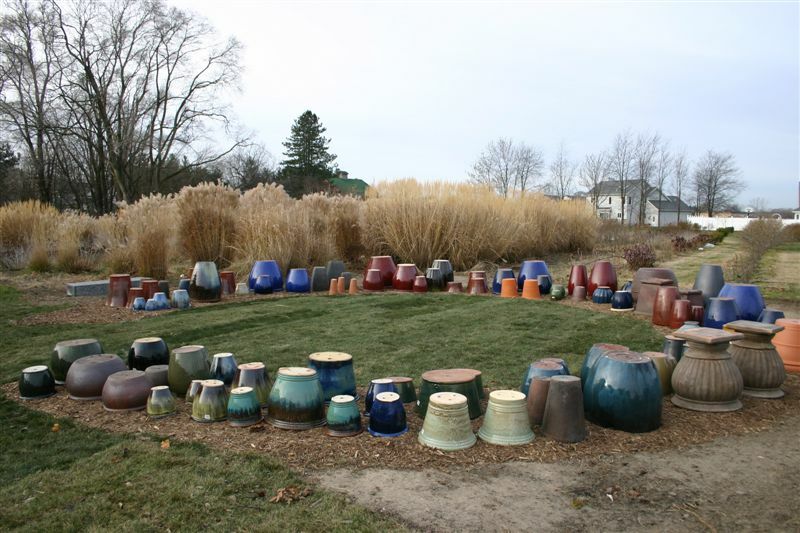 Contrary to belief, there are more and more pots being made to survive the cold temperatures. Their use as flanking a welcoming entrance, or urns atop a wall, add to the art that is your landscape.